The difference in the “A Casa das Portas Velhas” is to think in each detail in order to make its clients stay a unique and special moment. Therefore the visitor (or traveler) has the opportunity to experience real cultural inclusion. There will be many stories to tell friends because the hotel team is prepared to promote an interchange between the guests and local culture, through a guest relations specially prepared to attend the desires of those who want to experience everyday attractions in the city. The range of suggested cultural options includes visits to museums, theatres, social projects and other events. Taking advantage of what is part of the dwellers day by day, going to pubs, to the football stadium to watch a match, visiting the marketplace to buy local seasonings, learning capoeira, music, dance, getting to know candomblé and the local gastronomy are some of the options which make a stay at the “A Casa das Portas Velhas” a genuine introduction to the culture of Bahia. But it is not necessary to leave the hotel to be part of what is more traditional in Salvador. 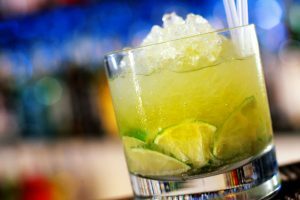 A traveler may adventure in a class of the famous Brazilian drink “caipirinha” or even participate of a tasting at the Cachaça Club, or still, learn how to make delicious moquecas and tapiocas, within the premises of this manor. Beyond the doors, the visitor may count on the commodity of using a free shuttle service from Monday to Saturday from 07:00PM to 10:30PM, and on Sundays from 03:00PM to 10:30PM. The service may be requested to go to some nearby locations such as Pelourinho just 5 minutes away walking. Concerning the well-being of its guests, Marvel Hotels Group has chosen the location of “A Casa das Portas Velhas” to attend those who wish to experience the cultural excitement of Salvador as well as those who wish a peaceful rest. And for those who want a little more, there is a massage service in the ROOM so that the guest may relax in privacy and prepare for another day full of possibilities and exciting attractions. Special surprise gift of Carnival.